I was not impressed with the first Hunger Games movie. The plot, such that is was, seemed to be an excuse for having teenagers trying to kill each other in the long, brutal climatic end. Now I haven't read any of the books (so many books, so little time) and I have heard the book goes into the politics of the "Hunger Games" and shows how they are used to manipulate the populace of this totalitarian government of the country of Panem (which seems to sit where the United States is now). But the movie didn't and it was plenty long and at times boring. And the fight to the death at the end between teenagers frankly made me uncomfortable. 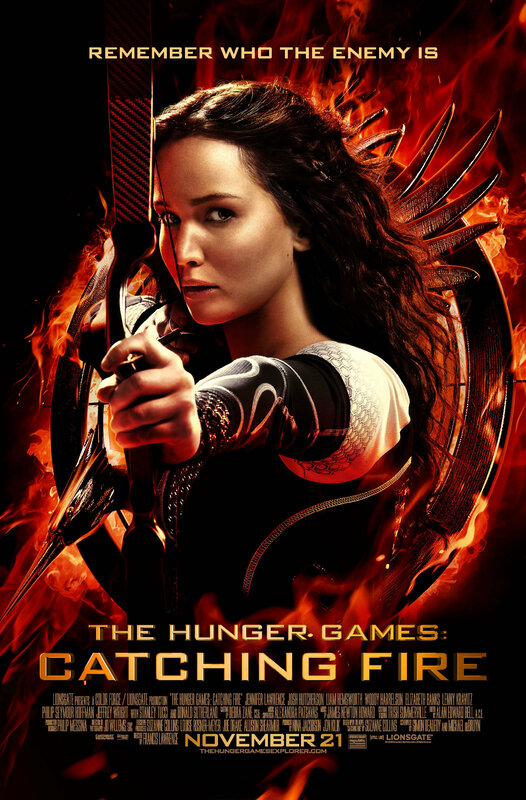 The Hunger Games: Catching Fire I enjoyed a lot more because it went into the machinations of the government, showed how brutal and totalitarian it was, and explained more why there were the Hunger Games as a tool to demonstrate state power over its citizens. And while the climax was another Hunger Game, fight to the death, they twisted it (what one character called "a wrinkle") and made it have much more depth and be a lot more interesting. You never quite know who is on what side between the state, the rebellion, and the heroine, Katniss Everdeen. In the first move, Katniss Everdeen was just angry the entire time and I really wondered if Jennifer Lawrence, who played Katniss, just couldn't act. Then I saw her in Silver Linings Playbook and was impressed with her skills as an actress. In Catching Fire, Lawrence again shows her depth and talent as an actress. She is vulnerable, angry, scared, aloof, and compassionate. You see her heart break and feel her suffering. In addition, there is President Snow, the dictator of Panem, played with delicious evilness by Donald Sutherland. And this movie was probably one of Philip Seymour Hoffman's last performances and he plays the designer of the Hunger Games very well (as always). Catching Fire is a much better movie than its predecessor. The 2:23 minute run time flies by (of course, there's over 10 minutes of credits) and for the first time I feel compassion about these characters. I'm looking forward to the third movie (and the fourth, apparently).